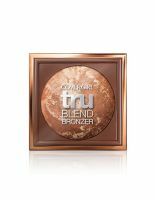 I love this bronzer. So pretty to look at, and it looks amazing on. It gives my fair skin a gorgeous glow. Perfect amoung of pigment, gorgeous color. Very natural. Love the packaging. I'd 100% re-purchase this.